Jorge Pascual made it to Aquinas Junior College just in time. Pascual was one of six players credited as coming out of the school and going on to play professionally. Pascual was also one of the last to come out of Aquinas and play professionally. After a move to four-year status in 1994, the school disbanded its athletics programs. Pascual's professional career ended up being a brief one. It began and ended in 1990. Pascual turned pro out of Aquinas after being taken by the Phillies in the 10th round of the draft. His ProCards card shows Pascual as a native of the Dominican Republic. 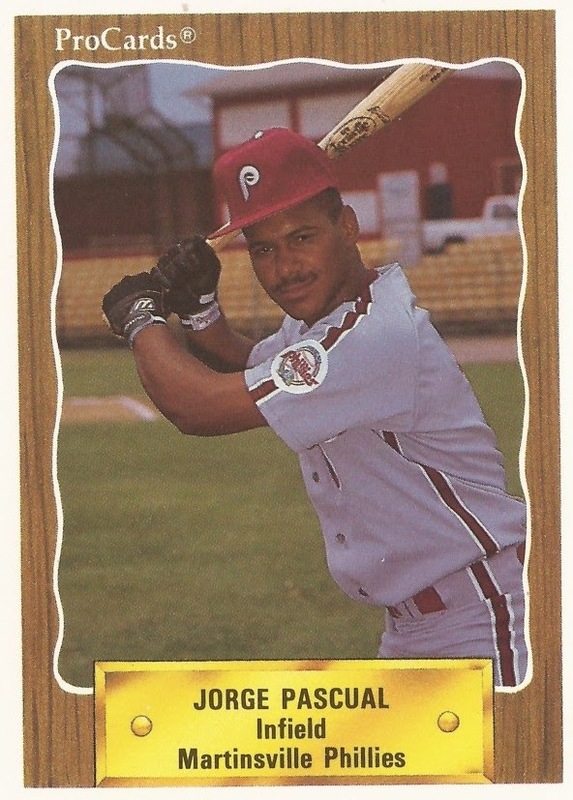 With the Phillies, the infielder Pascual was assigned to rookie Martinsville. He got into 37 games there and hit .233. He hit one home run, knocked in 13 and stole two bases. Those 37 games marked the extent of Pascual's professional career.